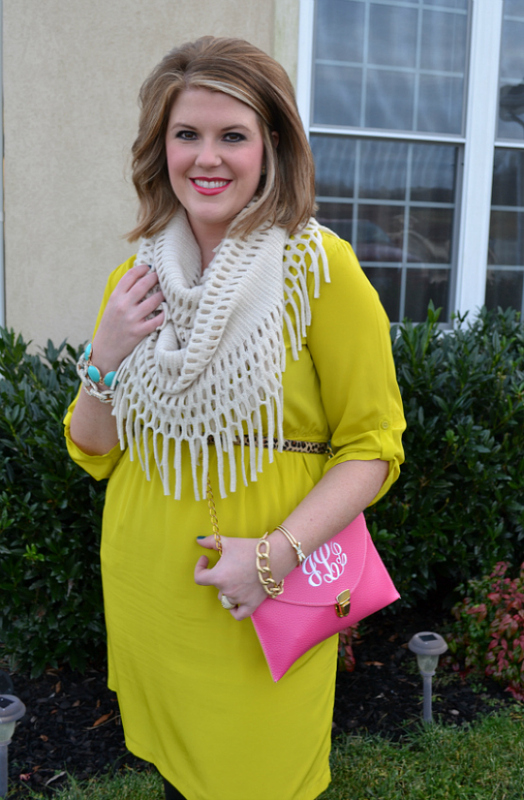 If you've been reading this blog any length of time you know I love monograms. 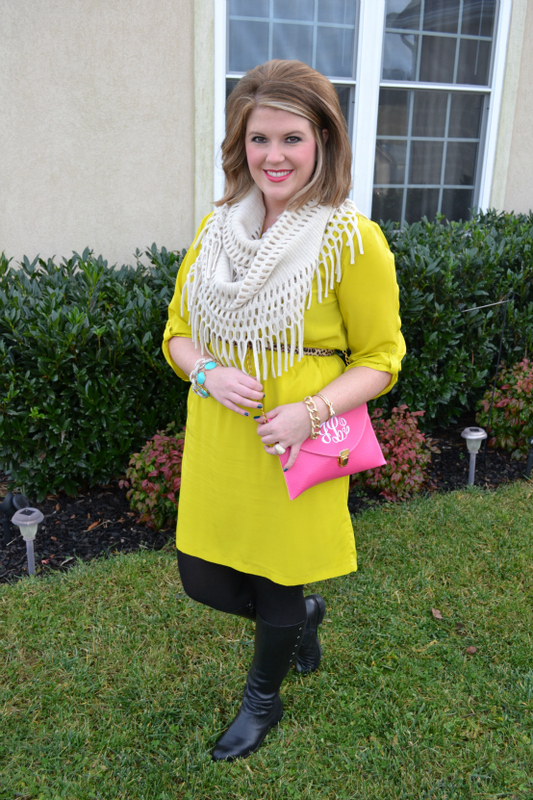 I think I featured something monogrammed in nearly all my holiday gift guides! When Danielle from Shop Dandy posted this crossbody back in the summer I knew I had to have one. 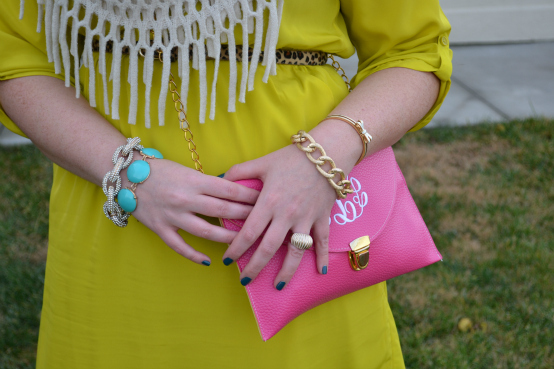 It's from Marley Lilly and has proven to be one of my favorite accessories. 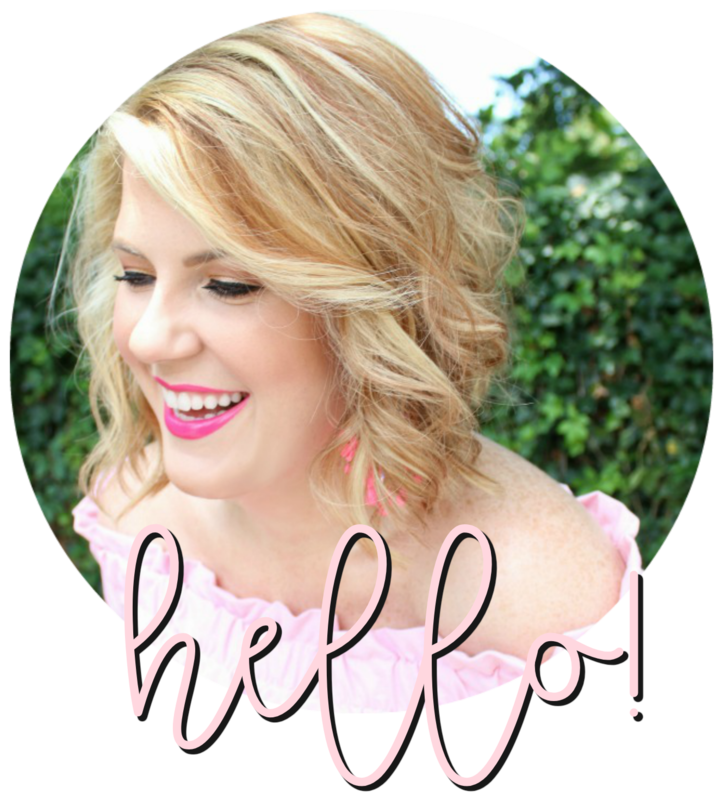 The bright pink color hasn't stopped me from carrying it into colder temperatures.You can clearly tell from these photos alone - I love color year-round! 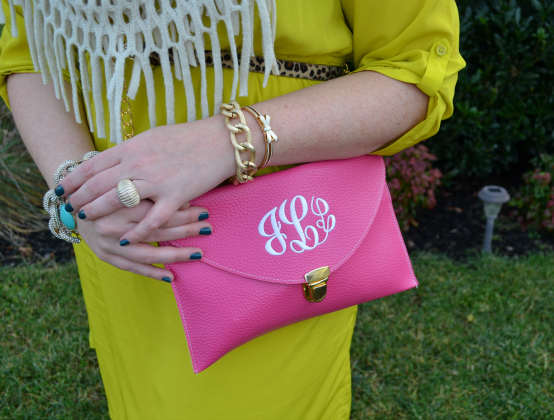 Love the monogram pouch girlfriend! i love my pink one too! you look lovely dear friend! You're so lovely!! 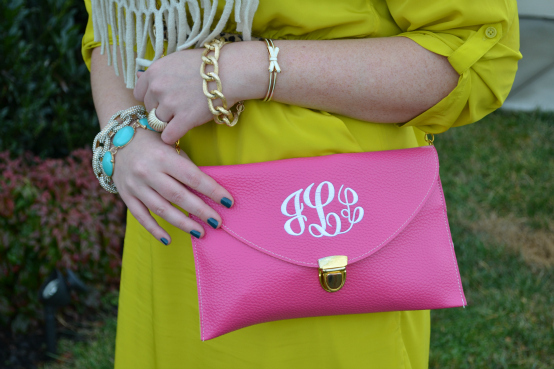 I actually don't have anything monogrammed, so I'm totally jealous! Gorgeous. Love the color combination! Love this outfit! Your scarf is too cute! That bag is adorable. I totally want one! Love your color combos as well.